On Merla’s website, we synthesized 78 years of excellence in designing and manufacturing valves and actuators in a modern and striking fashion. We highlighted the “traditional” success of Merla’s sales team with new digital tools, and optimized the sales process to position the company at national and international level in the shortest time, reaching the objectives of the Board of Directors and stakeholders. 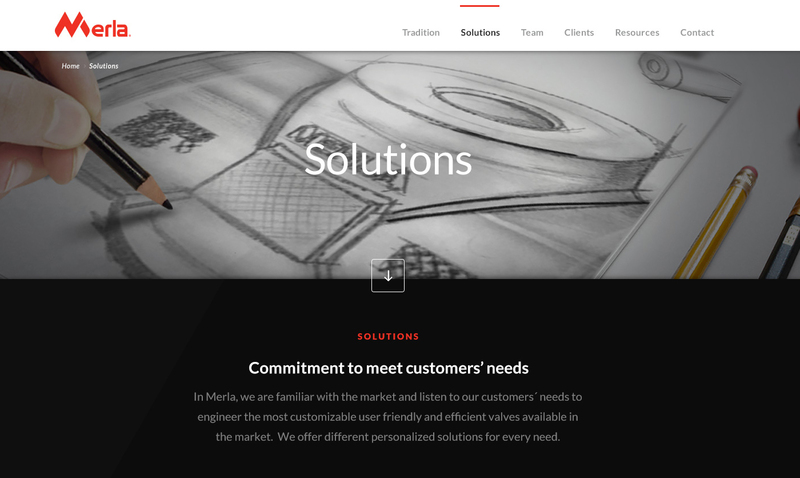 With the new website, those interested can read about the history of company, study the wide range of products and services, learn about Merla’s customers, request additional information or to apply for work for this great company, all from one place.